Travel fund plays a vital role in travel. It’s a major factor in deciding the destination as well the length of stay to spend in the destination. In a travel forum, a traveler was ranting about other travelers’ itineraries because of the expenses. She believes that the expenses presented together with the activities were too good to be true. Other members joined the discussion and confirmed that these sample itineraries are doable but can’t fit everyone’s travel preferences. 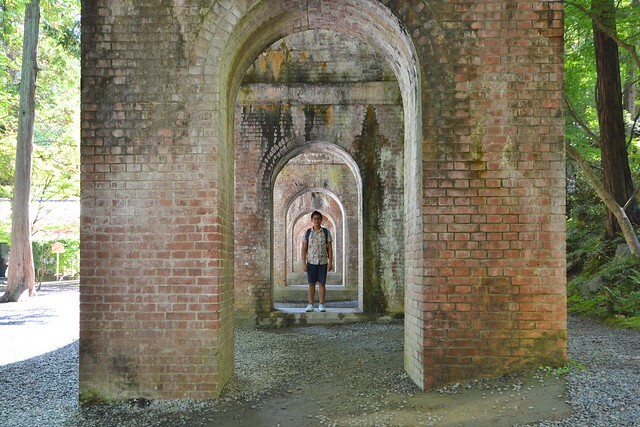 Two weeks in Japan for Php37,000? Yes! There are tons of ways to reduce your travel cost without compensating the fun and enjoyment on your trip. If you are not a luxury traveler and not picky, here are some tips to maximize your travel budget. Since day one of my backpacker-style of traveling, I’m on the lookout for hostels on my target destinations. Considering that rates will be significantly lower, it’s also the best place to meet other travelers during a trip. Cheapest hostel I’ve ever stayed was in Vang Vieng with USD4 a night that already includes breakfast. Staying at hostels is now a trend especially in backpacker destinations like Bangkok, Kuala Lumpur, and Hanoi. Just be reminded that quality of service relates to the hostel rates being offered. Most hostels nowadays started offering private rooms just in case you’re traveling in groups. Staying at hostels is not that bad especially if you have this kind of shared room. BRB Hostel in Thailand. If you’re a carefree traveler, a cheaper (or should I say free) option is to try Couchsurfing. Couchsurfing is a way where you get to stay at your host’s place for free. There are websites where you can sign-up and connect with other members based on your destinations. One reminder though, make sure to check the member’s profile because there were previous controversies on Couchsurfing. Still, this is the best option to consider especially if you’re after a free stay. Travelers who could stand noisy and chaotic surrounding and can sleep in any environment, staying at airports and bus terminals is one of the money-saving travel tips to spare a night of accommodation budget. I usually do this especially if I booked an early morning or late night flights and bus schedules. It’s also a good thing to be at the terminals hours before your flight than waking up early in the morning. Just look for a nice and comfortable spot, bring jackets and neck pillow, and you’re good to go. I don’t recommend this, especially on buses. I had this one worked out for me during my 3-month trip around Southeast Asia. Moving from one city or country to another, covering at least an 8-hour of land trip, will save you a night of accommodation and give you a day for exploring the destination. On overnight bus, I had a 24-hour land trip from Laos to Vietnam while a sleeper train in Vietnam from Hanoi to Lao Cai. You can also have this overnight trains in Indonesia, Thailand, and Myanmar. 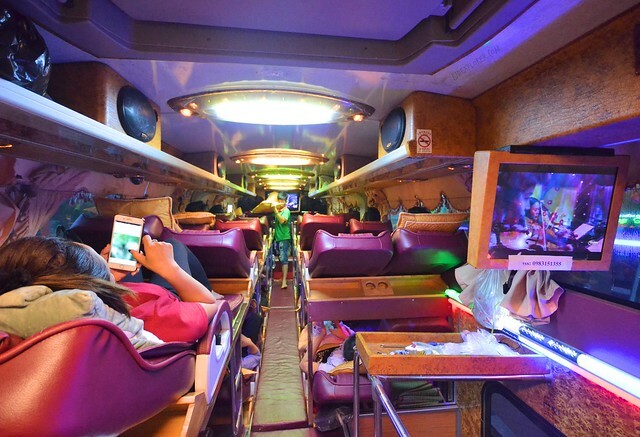 Overnight bus from Vientiane, Laos to Ninh Binh, Vietnam. Looking at my accounting every after the trip, food is one of the largest portions of my expenses. But for you to save few bucks, avoid fancy restaurants at all cost. It’s fine to splurge at times but doing it frequently will deplete your funds. Trust me. Always go where the locals dine. In Indonesia, we had dinners at a parking lot of a mall where a makeshift tent serves budget Ayam Penyet to locals. Not that extravagant as what most restaurants offer, but the price is almost half, or even a third of what the fancy food places serve. 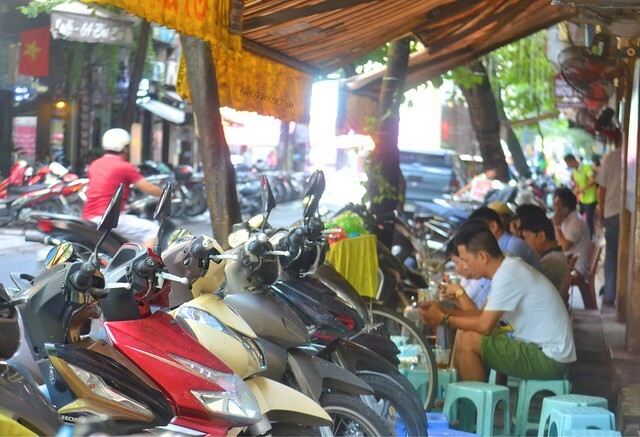 Low stools on sidewalks is also an indication of a cheap dining in Vietnam. If you don’t understand the menu because it’s written in the local language, order the meal being enjoyed by the local nearest to you. Morning hustle in Hanoi. Join the locals in their quest for a nice meal. Local transport sometimes gets overwhelming especially the crowd, the payment system, and drop-off stations. But this the cheapest way to travel to your destination. When I visited Myanmar, going out of the terminal to downtown Yangon is around MMK8,000 (USD6) but taking a bus only cost me MMK500 (USD0.4). Imagine the savings! 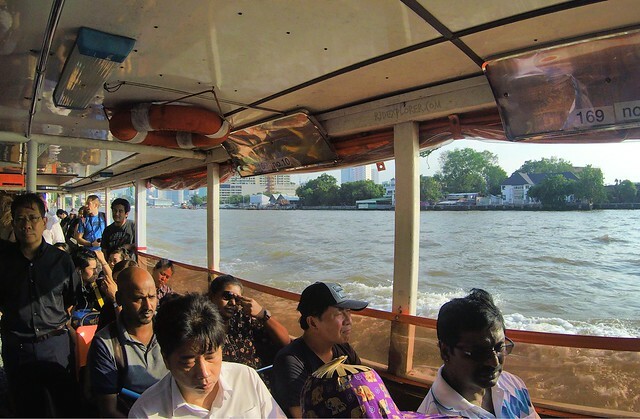 Klong boats in Bangkok serve as a cheap transportation system in Bangkok. A cheaper option is to avail services of Transport Network Vehicle Services (TNVS) promotions. Grab, a famous TNSV company in Southeast Asia, most of the time has promotions by giving out vouchers to lessen your fare. Uber and Grab also offer pooling options where you can book a ride with other passengers that equates to a cheaper fare. I had all my trips around Kuala Terengganu and Langkawi in Malaysia during my trips because Grab just launched in both cities and tons of promo codes were given to users. Goes the same for my bike rides in Hanoi, Vietnam. 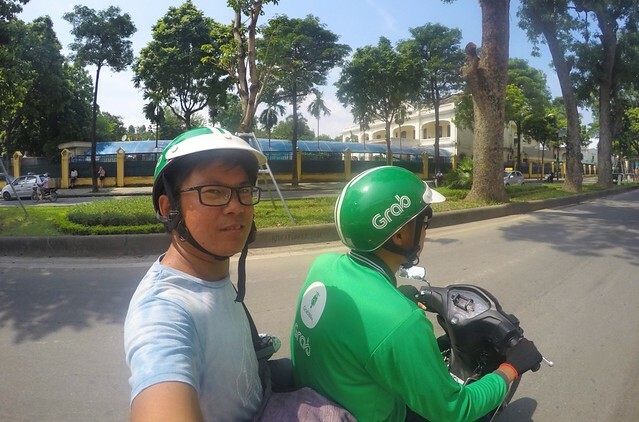 Free GrabBike rides in Hanoi because of a Grab promo. In some countries, like Australia, travelling around in a campervan is also a great way to save money while on the road. 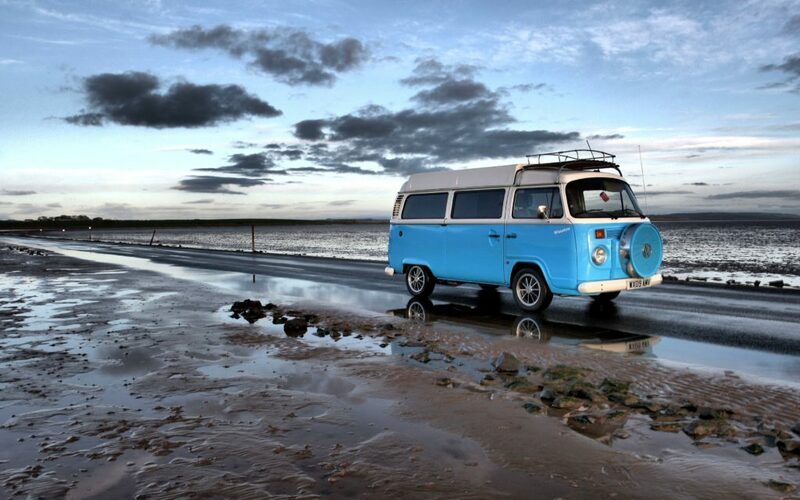 If you’re planning to travel for more than a month, you can consider buying a secondhand campervan from Gumtree. This is very convenient and beneficial given that driving the campervan can already cover the transportation cost and accommodation budget. At the end of your trip, you can also sell the campervan before leaving the country. Another convenience of having a campervan is the freedom to pick a location for the best overnight and views on your trip. One of the usual tips I provide on my itineraries is to do walking tours. It’s a bit tiring to walk all day just to hop from one destination to another but imagine the savings you’ll get if you avail services from tour agencies and local guides. I had a day in Singapore where I walked from Orchard Road to Marina Bay area and I really saved tons of dollars walking instead of availing subway rides. 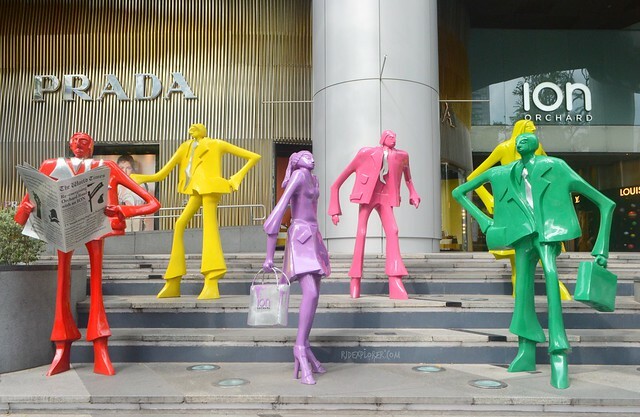 Walking tours will allow you to encounter nice spots not included in tour guide’s itinerary. But I admit, there are destinations with tourist attractions far from one another making a walking tour a helluva experience. To address this, look for group tours in such a way that you can split the total cost of the services. Few tours provided by Klook Travel are joined tours meaning the tour is open for everybody who wanted to book a schedule. 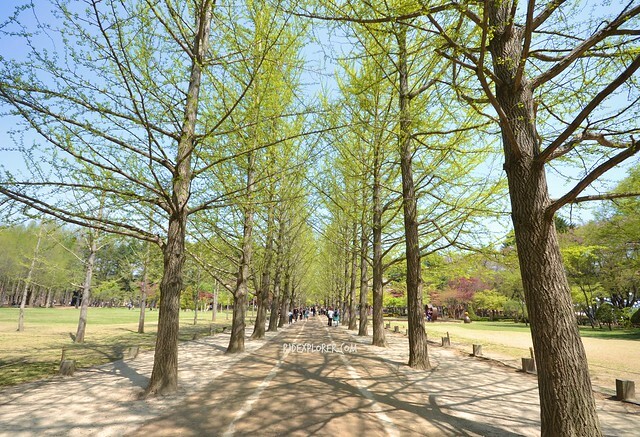 On my trip to Seoul, South Korea during spring, I availed a Nami Island and Petite France joined-tour from Klook. For tours and exciting travel experience, check Klook Travel’s website. 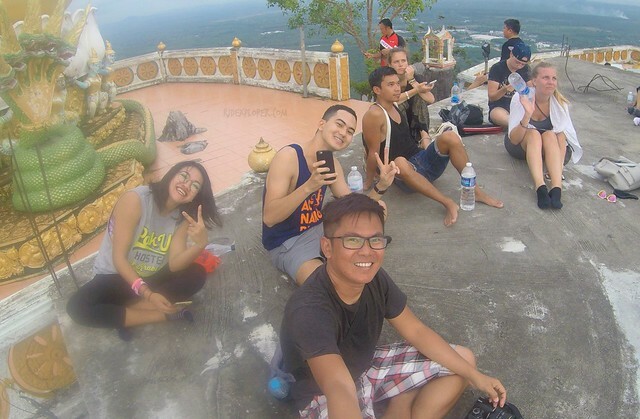 Group tour to Tiger Cave Temple in Krabi. This is one of the cheapest ways to travel. Find non-government organizations for volunteering efforts. At times, the organizers will shoulder your transportation from your place to the destination. But most of the time, volunteering would cover only your accommodation and meals. For others, it’s a good way (and cheapest way) for cultural immersion. Purchasing stuff using your credit card will allow you to earn rewards you could use to redeem free flights. A PHP30 purchase using my Unionbank GetGo Credit Card gives me one GetGo point. I use the points to book free or discounted flights from Cebu Pacific Air. I remember booking a flight to Caticlan from Clark without paying any centavo because of my points. My return flight to South Korea was shouldered by my bank for a promotion I joined. Other banks also offer rewards that you could use to book for hotels, pay for restaurants, and book plane tickets. Apart from these rewards, other banks offer promotions like free flights for every approved credit card application. When I signed up for a credit card on a local bank, they covered my return flight to Incheon International Airport for my Seoul, South Korea trip. Most of my friends ask me how much do I usually spend on plane tickets. I can see jaw-dropping expressions when I tell them that PHP700 (USD13) already brought me from Cebu to Caticlan on a return flight. 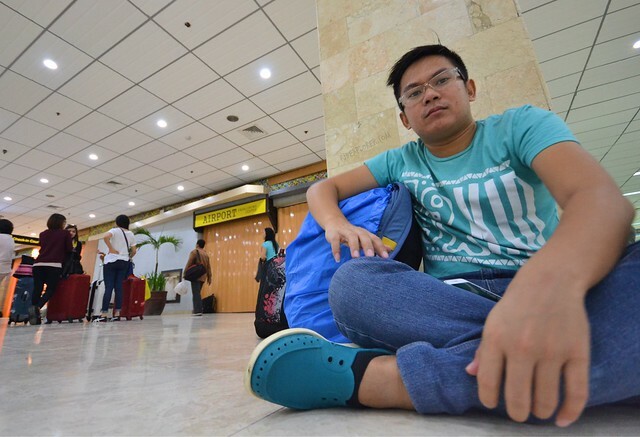 I even booked a PHP900 (USD19) Clark – Singapore, Kuala Lumpur – Manila flight. The cheapest one I’ve ever booked was a PHP250 (USD5) one-way flight to Taipei from Cebu. How’s that happened? I just monitor airlines every time they announce for seat sales. Not only for airlines but also for hotel booking websites such as Traveloka, Agoda, and Booking. Few flash sales will allow you to book a PHP156 (USD3) bed in a Boracay hostel with breakfast. These brands also provide vouchers and promo codes every now and then. Travelers can use these codes to avail discounted accommodation on their future trips. Checking codes from Traveloka allowed me to save few hundreds of yen during my 2-week Japan trip. Tips presented here are only some of the handful ways on how to travel cheap (or for free). To close this list is another one, but not for everyone. Be a travel writer or blogger. Travel writers and bloggers are often invited by hotels, tourism departments, airlines, and tour agencies to participate in few collaborations in promoting their brand and services. It’s the perfect time to travel and tick items on your bucket list, for free! Do you have practical tips you want us to share with other travelers? Then don’t hesitate to leave a comment on the comment section below.